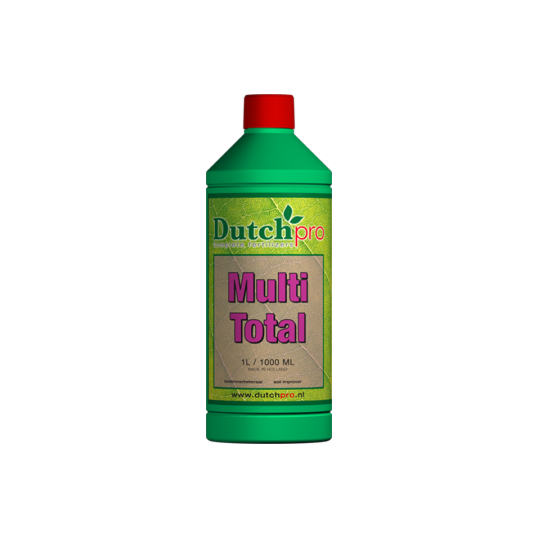 Multi Total provides a turning organic material from dead plant matter into beneficial nutrients. It improves a soil structure (in terms of water retention) and promotes a producing of bacterias in the substrate. In this way Multi Total stimulates root growth, the cationic exchange of minerals and micronutrients and improves resistance against fungi and stress. Suits for most soil, hydro and coco growing systems.